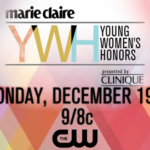 LOS ANGELES – (November 17, 2016) – The Marie Claire “Young Women’s Honors” presented by Clinique announced that they will be supporting First Lady Michelle Obama’s Let Girls Learn initiative during their first-annual event. The First Lady will open the show with a special video message discussing the importance of adolescent girls’ education around the world. 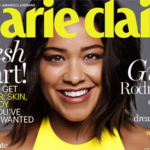 Award-winning actress and socially conscious crusader Gina Rodriguez will serve as host and executive producer of Marie Claire “Young Women’s Honors” airing Monday, December 19 at 9 PM EST on The CW Network. The President and First Lady launched Let Girls Learn in March 2015 to address the range of challenges preventing adolescent girls from attaining a quality education that empowers them to reach their full potential. Let Girls Learn combines the necessary political will, diplomacy, grassroots organizing and development expertise to create lasting change. To take action and help girls around the world get the education that they deserve, supporters can visit http://letgirlslearn.gov. Simone Biles, the most decorated American gymnast, having won a combined total of nineteen Olympic and World Championship medals. She is the 2016 Olympic individual all-around, vault and floor gold medalist. 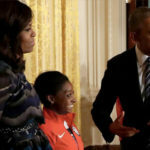 Biles was also part of the gold medal-winning team dubbed the “Final Five” at the 2016 Summer Olympics in Brazil. Fereshteh Forough, the founder and CEO of Code to Inspire. She is bringing hope, opportunity and empowerment to women and girls in Afghanistan, changing cultural norms along the way. Forough educates female students in her homeland by teaching them how to code to improve their technical literacy. Dr. Vanessa Kerry, a critical care physician and founder of Global Seed Health, which in partnership with the Peace Corps, sends volunteer health professionals abroad to educate/train locals to build healthcare workforces there. In return, some of their med school loans are repaid. She is daughter of John Kerry. Sabrina Gonzalez Pasterski, a 22 year old physicist, MIT graduate and Harvard Ph.D. Candidate. She has already had job offers from Jeff Bezos, Founder of Amazon and Aerospace developer and manufacturer Blue Origin. She is studying string theory and high energy physics and has advanced the understanding of gravitational memories. Tatyana McFadden, a multi-talented athlete who is considered one of the fastest wheelchair runners in the world. She dominates the Paralympic games and world championships, wins marathons and even has a silver medal in cross country skiing. McFadden works as a national advocate for equal access for people with disabilities. She’s a lifetime member of the Girl Scouts and on the Board of Directors of Spina Bifida of Illinois. 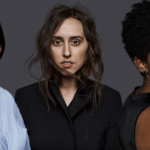 Madison Maxey, who builds prototypes, writes code, and generally experiments at the intersection of design and technology. She focuses on smart fabric and creative technology, especially related to smart apparel computational design. Jessica Matthews, the founder of Uncharted Play, which makes a soccer ball and jump rope (soon, a skateboard and basketball) that generate electricity to provide off-grid power in developing communities with thousands distributed in Africa, Mexico and the U.S. She’s received many honors including Fortune’s most promising Women Entrepreneurs (2015). Amanda Nguyen, who empowered millions of sexual assault survivors like her across the country by changing the law. She is a Harvard graduate who worked with members of Congress to draft a bill or rights for survivors of sexual assault. Nguyen is an aspiring astronaut who founded Rise, an all-volunteer nonprofit that advocates for basic civil rights for sexual assault survivors. Sponsors of the event include Clinique and Lord & Taylor. 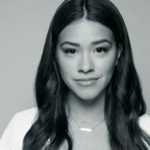 Gina Rodriguez and Emily Gipson will serve as executive producers for I Can & I Will Productions, and Andrea Regalado will serve as co-executive producer. 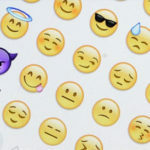 Good Entertainment (Teen Choice Awards) and Primary Wave Entertainment will serve as the studio to produce and co-finance the televised awards ceremony. Michael Burg, David Guillod and Jeff Straughn will serve as executive producers, along with and Ben Silverman for Propagate Content.